Again the weather didn’t cooperate but the forecast hinted at decent skies in Homer. 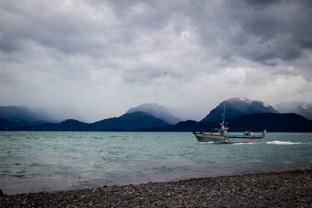 Homer is always fun and, besides the world’s best seafood, it offered a potential photo op of volcanic mountains, fireweed, moose and the Spit. 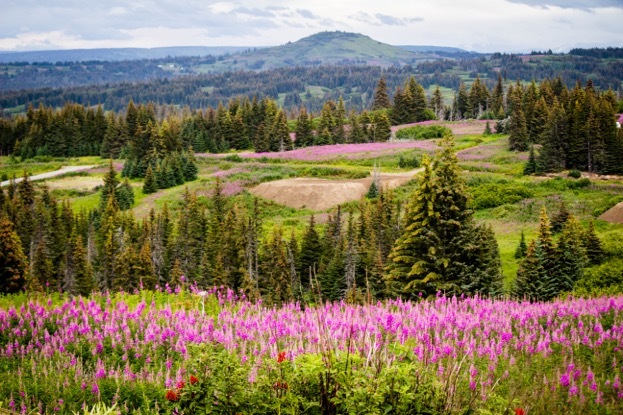 Three out of four isn’t bad with the fireweed alone being worth the drive. We never saw the volcanos since the cloud cover hid them for entire trip. The cloud cover did present some fine views in and around Homer, however. Our arrival must have followed a serious downpour since the puddles in the gravel parking lots were a challenge. 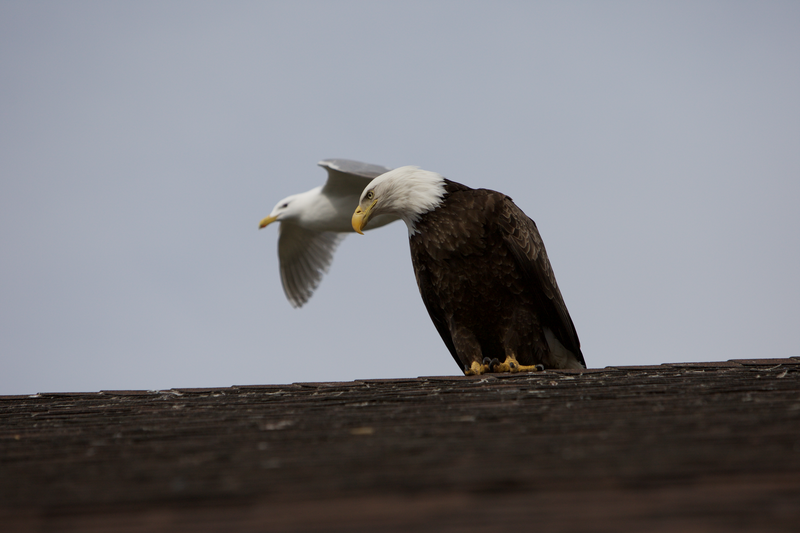 Homer used to be a bald eagle haven, but no more. We only saw one as we were leaving town. 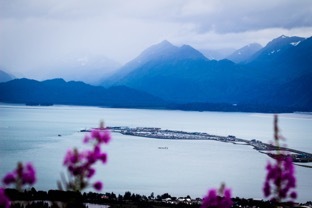 The views around the Kachemak Bay and Homer were an excellent substitute however. With an active port, glaciers in the distance and the clouds causing an interesting image around the mountains, Maureen’s camera remained very busy. 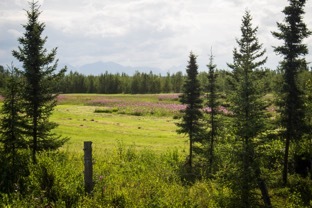 After another enjoyable lunch at Cap’n Pattys, we headed out to find a view of the Spit and those fireweed. We wound our way out of the town up a steep bluff that overlooked the town and happened on a perfect overview. How can you beat this view? We spent about a 1/2 hour enjoying this sight of the Spit and the Bay. We were also treated to the landing of a float plane for below our vantage point. Within a few minutes of leaving the overlook, we came across fireweed that completely blew us away. WOW! There was field after field of these gorgeous wildflowers. Enough words - just enjoy and please visit the gallery.